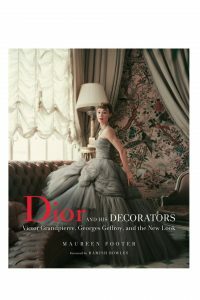 This book explores the interior designers most closely associated with Christian Dior. Between them, they designed Dior’s first couture house, townhouse and salons for other couturiers, as well as homes for the likes of Yves Saint Laurent, Marcel Rochas, Gloria Guinness, Daisy Fellowes, and Maria Callas. Why we’re sold on the shoe silhouette that’s taking street style by storm, plus how to wear it now.